Quite often, when we refer to Chinese food, most people would think of sweet & sour pork, broccoli beef and chicken chow mein. Okay, that's Americanized Chinese food, but the roots originate from Cantonese cuisine, which represents only one province in China. 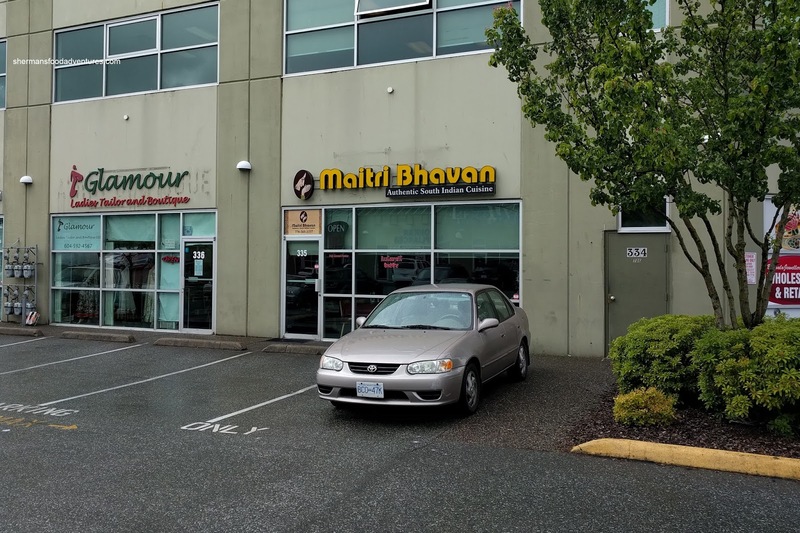 So when people think of Indian food, the same phenomena occurs where dishes like Butter Chicken, Palak Paneer and Tandoori Chicken come to mind. 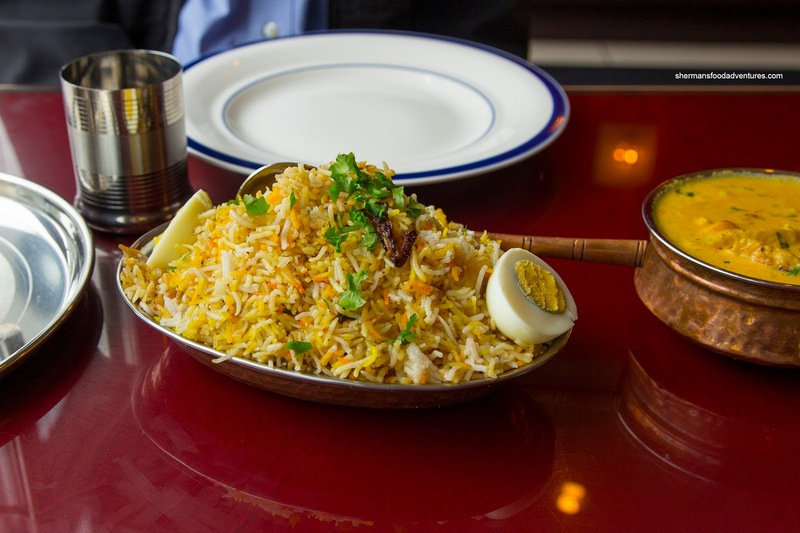 Again, this only represents a small portion of Indian cuisine, specifically the Punjab region. So when I randomly bought 2 coupons for Maitri Bhavan out in Surrey, it was my opportunity to get my Southern Indian food fix on. I enlisted the help of Chill both times since I hate eating alone and yah, he's good company too... For our first visit, we decided to start things off with a dish that interestingly isn't offered on their menu anymore. It was Fried Shrimp bathed in a spicy sauce loaded with red onion. 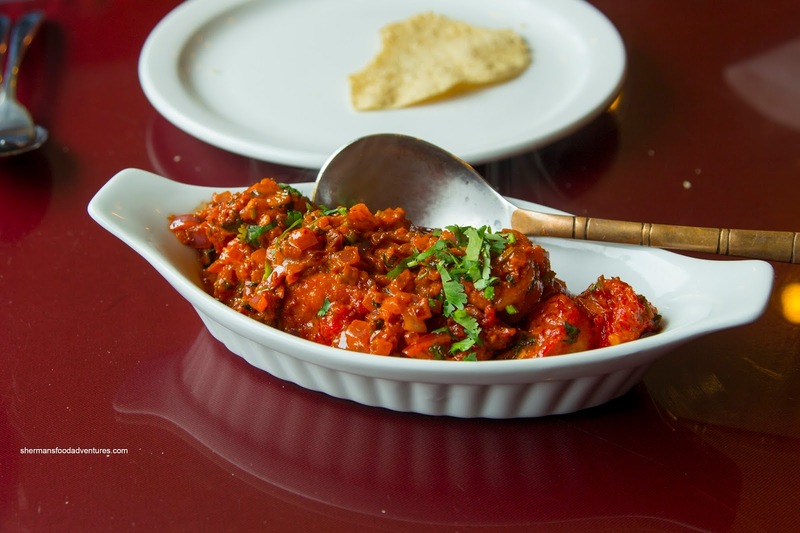 Exhibiting an impactful and long-lasting heat, the dish was hot, but not enough to overwhelm the meaty shrimp. Naturally, the amount of onion added a sharp pungency to the dish as well as some sweetness. 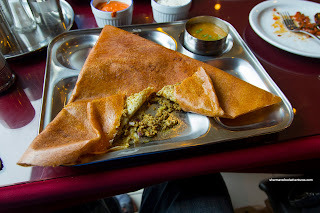 We each had a Dosa (mine was lamb) and we found it to be lightly crisp yet fluffy and soft throughout. The filling was not overly spicy, but it did not lack flavour. For me personally, there was just too much rare diced red onion. It created a sharpness that dominated everything else. The flavour was so strong, the lamb gaminess was mostly in the background. With that being said, we still enjoyed the dosa as it was not heavy nor too dry. We came back a few weeks later and decided to share 3 items from the rest of the menu. Starting it off was the Chicken Biryani featuring 2 pieces of tender chicken that was a touch spicy. The rice was chewy and dry while mildly flavoured. 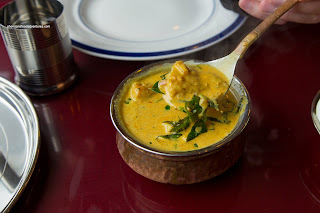 In addition to the biryani, we also got the Fish Korma which was lightly creamy and nutty. It was well-spiced exhibiting a mild heat. We found the fish to be tender and flaky while being cooked just enough. However, we would've liked to see more of it as we were left with sauce after our first helping. 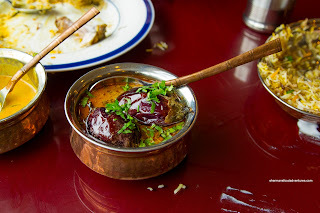 Lastly, we had the Eggplant Curry which was a delight to eat despite its small portion size. The fried eggplant was tender while still lightly crispy on the outside. Flavours once again were impactful with a low rumble of spice Despite the spice level, the curry was still aromatic and nutty without being overwhelmed. From these 2 visits, we were pretty happy with the food at Maitri Bhavan. I guess it being Southern Indian rather than the usual we find everywhere else made a difference too. Loved the service as well.